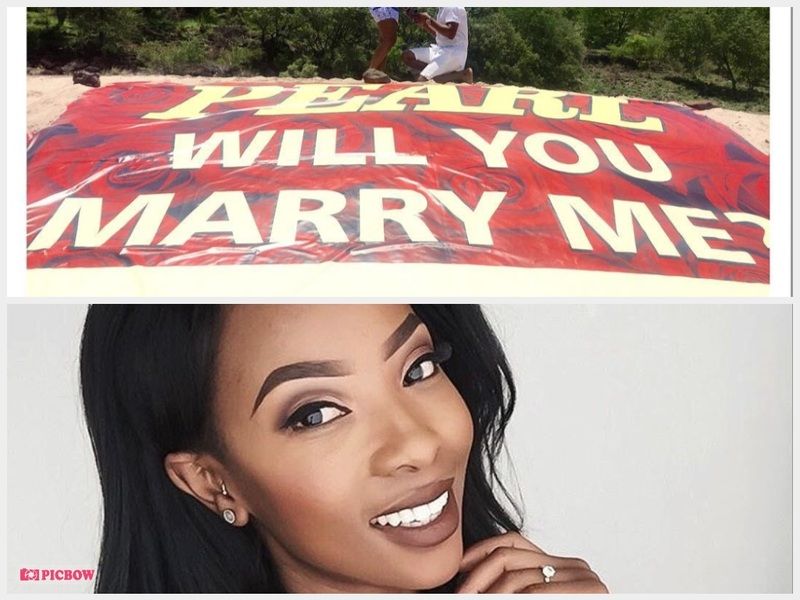 Home / Celebrity / Pearl Modiadie / Pearl Modiadie on her longest engagement "Marriage is not a wedding people"
Pearl Modiadie on her longest engagement "Marriage is not a wedding people"
Pearl Modiadie Claps Back At ‘Tiring’ Marriage Questions! The media personality seem to be crazy in love but that doesn’t mean she’s in a rush to walk down the isle. Pearl got back together with fiance after they broke up back in 2016. While people thought they’d seal the deal after reconciling, the couple is taking their time. Taking to twitter, Pearl clapped back at people who ask her when she’ll get married. “The ‘you’ve been engaged for so long, when are you getting married’ questions are funny! Marriage is not a wedding people,” she tweeted. Marriage is not a wedding people. Just a random number... nothing to it.